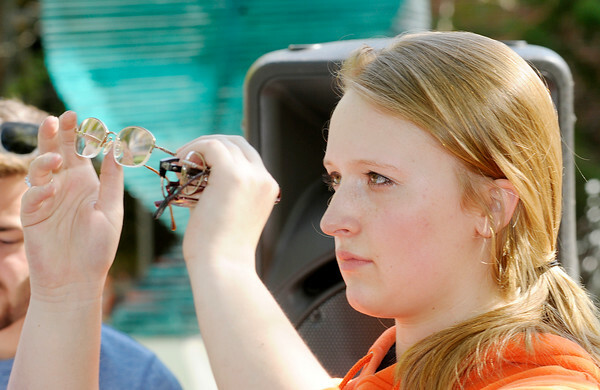 Anderson University student Brianna Kinne checks for major scratches on a pair of glasses as several students turned out to clean over 3,000 glasses that had been donated to Eyeglasses for Haiti on Friday. Haiti native and AU student Ralf Etienne founded Eyeglasses for Haiti, the organization recycles old eyeglasses delivering them to patients in Haiti. If you want to donate old glasses you can mail them to Etienne at 1100 East 5th Street, Anderson, IN 46012.